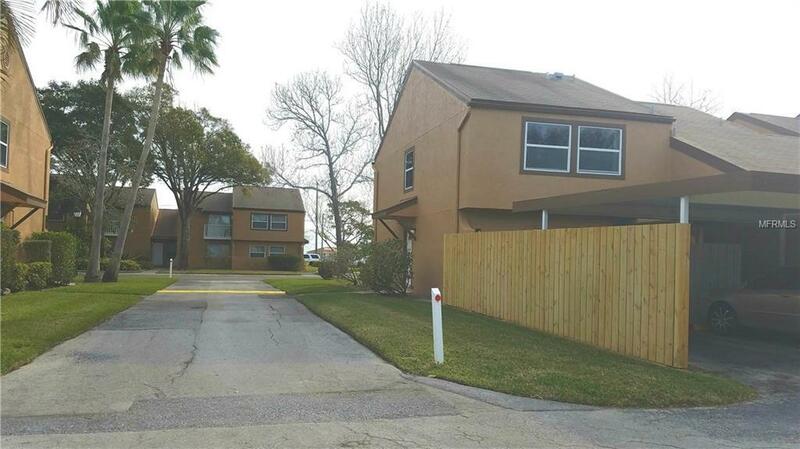 Welcome home to this beautifully remodeled 3 bedroom 2.5 bathroom townhouse. Featuring BRAND NEW air conditioning unit, carpet and modern gray-wood tile. Kitchen and all bathrooms contain modern cabinetry, counters, tile and fixtures. Double doors lead into a large master with lots of natural light and ensuite bathroom. Two spare bedrooms and full spare bathroom are also on the second floor. Extra half bathroom is conveniently on the main level. French doors lead from the kitchen to your private patio and laundry room. Private covered parking space is right off your patio and ample extra parking just behind the unit for guests. Beautiful, well kept neighborhood with mature landscaping and trees. This unit is modern and move in ready! Room measurements are approximate, buyer to verify.